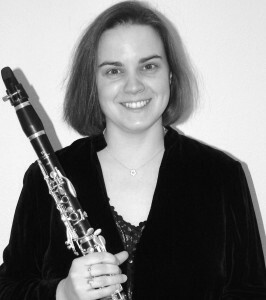 Luan Shaw trained at Birmingham Conservatoire where she studied clarinet with Janet Hilton. During her final year she won the woodwind recital and concerto prizes, a Countess of Munster Award and the Worshipful Company of Musicians’ Silver Medal. She was the first woodwind student to join the CBSO Training Scheme and upon graduating, she was invited to join the European Union Youth Orchestra. Luan was later awarded a Masters Degree in ‘Psychology for Musicians’ from the University of Sheffield and an honorary degree from Birmingham Conservatoire ‘in recognition of distinguished work within the field of music’. Luan went on to build a rich and varied freelance career and now divides her time between performing, adjudicating, examining, moderating, mentoring, teaching, delivering music workshops – and motherhood! As a chamber musician and soloist, Luan has performed at festivals and recital venues throughout the UK, on BBC radio and as part of the Banff International Festival in Canada.She has performed solo clarinet concertos by Mozart, Crusell, Weber and Nielsen and in addition to 15 years working as an ‘extra’ player with the City of Birmingham Symphony Orchestra, Luan has played principal clarinet with Longborough Festival Opera for over ten years and has been co-principal clarinet with Orchestra of the Swan since 2008. Luan is also committed to music education and has been teaching children and adults of all ages and abilities for over twenty years. Posts held have included Co-ordinator of Woodwind and Brass at Birmingham Conservatoire Junior School and Head of Instrumental Studies at Hallfield School in Birmingham. Many of Luan’s former students have gained entry to courses at the RCM, RAM, RNCM, Birmingham Conservatoire and the Welsh College of Music and Drama. Luan runs her own series of Live Music Workshops incorporating Musicscool for Foundation Stage and Key Stages 1-2, Special Occasions for children with learning disabilities, Bandstand Babies for nurseries and playgroups and Funky Families for everyone! She also works with the Maskarade Clarinet Quartet and the Carousel Clarinet Duo giving concerts on behalf of The Council for Music in Hospitals and The Lost Chord Project for Dementia Sufferers. Luan has very much enjoyed working as a specialist and a generalist adjudicator for the British and International Federation of Festivals since 2001 and more recently, she has moved into the field of assessment; moderating A level Music performance components and examining Diploma candidates for the Associated Board of the Royal Schools of Music. She also works as a mentor for students following the ABRSM’s Professional Development courses.